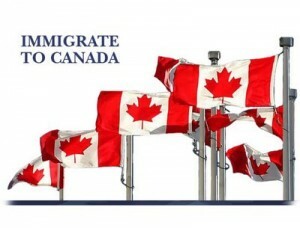 Canada is now the most preferred destination to immigrate. The reasons include bright education, career opportunities, financial improvement, etc.. Thus, all these aspects made Canada stood as the most admirable destination by immigrants across the globe. Every year Canada welcomes thousands of immigrants and eventually became a multicultural society. The Government of Canada provides multiple routes for individuals who wish to migrate to Canada. An individual who wish to migrate to Canada can choose any of the possible routes which works best. Canada welcomes skilled workers who wish to contribute their skills. If you are a skilled worker wishing to migrate to Canada, then depending on the place you would like to reside and work you can apply for either Federal Worker Program or Quebec Skilled Worker Program or Provincial Nomination programs. To be eligible for an applicant should undergo a point’s based test and must secure pre-defined points to successfully migrate to Canada. If you are interested to settle in a particular province or region upon Canada immigration, then you can apply for Canada Provincial Nomination Program (PNP). PNP is the fast-track option for obtaining Canadian Permanent Residency and allows provinces to select aspirants who wish to migrate to Canada. Business Immigration program is designed to entice individuals with business experience who can contribute for the growth of economy. If you are an entrepreneur who would like to migrate to Canada, then the Business Immigration program is the best option for Canada immigration. Under Family Class Sponsorship, the individuals who wish to migrate to Canada and are sponsored by the citizens and permanent residents of Canada can apply for Canada immigration. Dependent family members like spouses, children, parents and grandparents can migrate to Canada. Canadian Experience Class is designed for international students and workers who are living in Canada on a temporary basis and who would like to become permanent residents. Based on work experience, the individuals are selected under this program.